I totally missed my Orchid of the Week post last Friday, because I was hard at work on a freelance project. Whoops. I also missed my Sunday morning orchid watering session yesterday, so I watered them this morning instead. 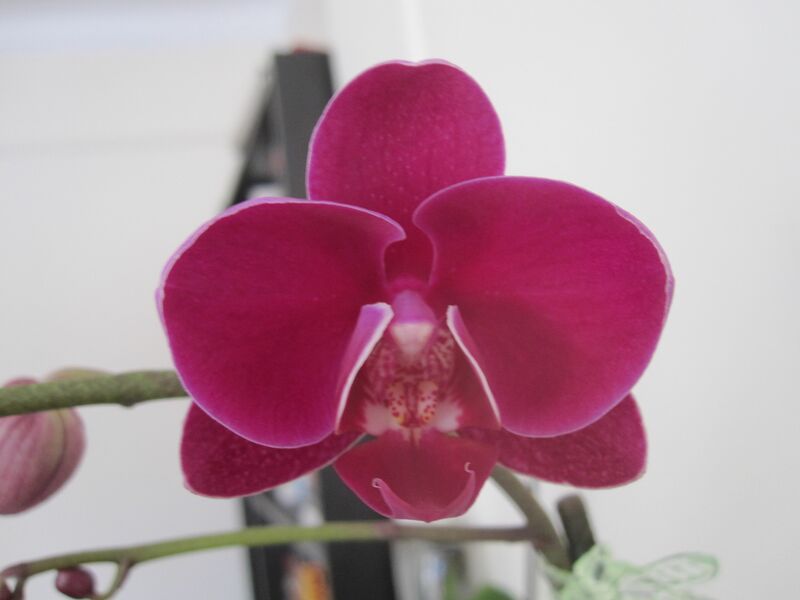 And I discovered that a pretty bloom on one of my Phals opened up overnight! 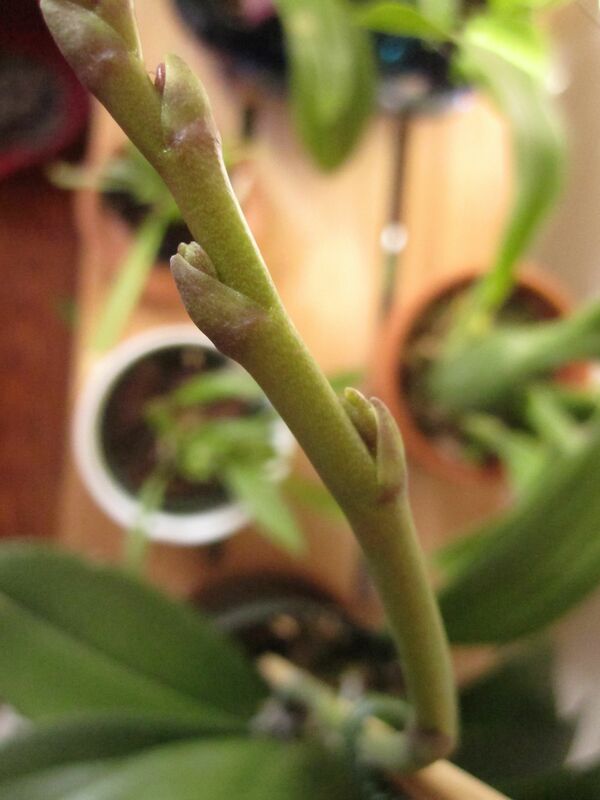 A couple of my other Phals in spike have swelling buds, so I’m going to have lots of blooms in the near future. It’s so very exciting to see my patience paying off!! Totally impressed with all the spikes, sideshoots and the phal blossom — expecting more pics. 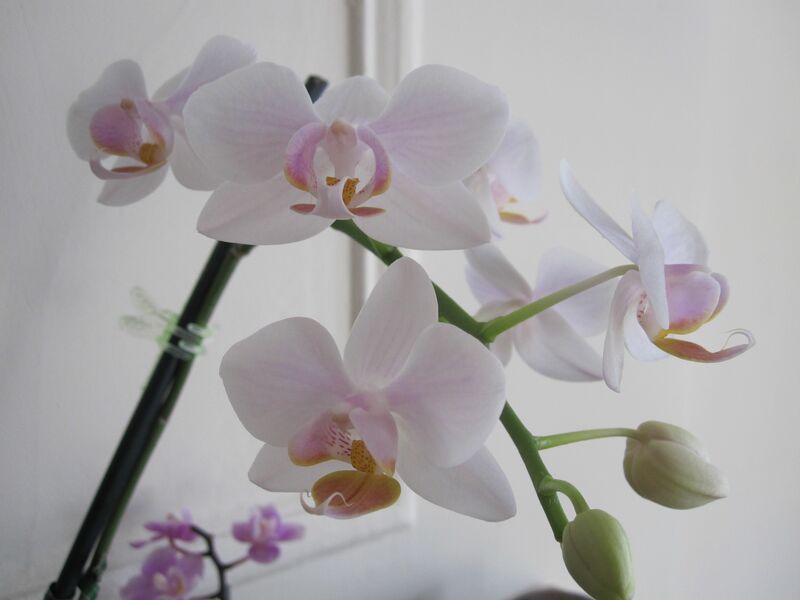 I was gifted an orchid last year where it was is in it’s last month of bloom. It wasn’t doing too well for a few months and only managed a single new leaf (in the whole year) and the old leaves are green but limp. However, in the last 2 month a couple of side shoots have emerged, with new leaves from the previously blooming stalks. It’s winter here (Amman, Jordan) with the temperature at home between 15 – 20 degrees and dry air. 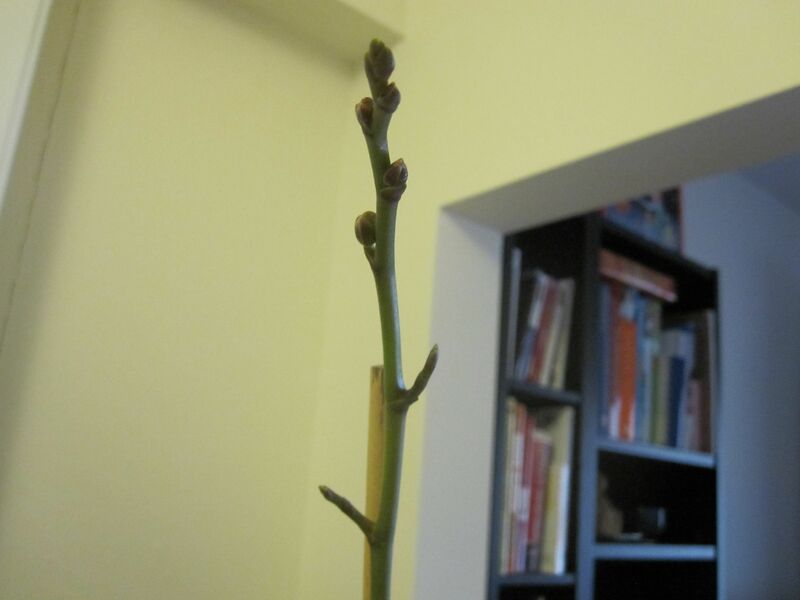 Should I leave the previous shoots as they are (hope they bloom again in spring – March/April) or cut off the old stalk leaving more energy for the new shoots? Tried to google various places/ forums but just too confused! Hoping you can help. Hi there and thanks for the compliment! It sounds like you may have a keiki, which is a baby plant. Does it look something like this? If that’s the case, congrats! 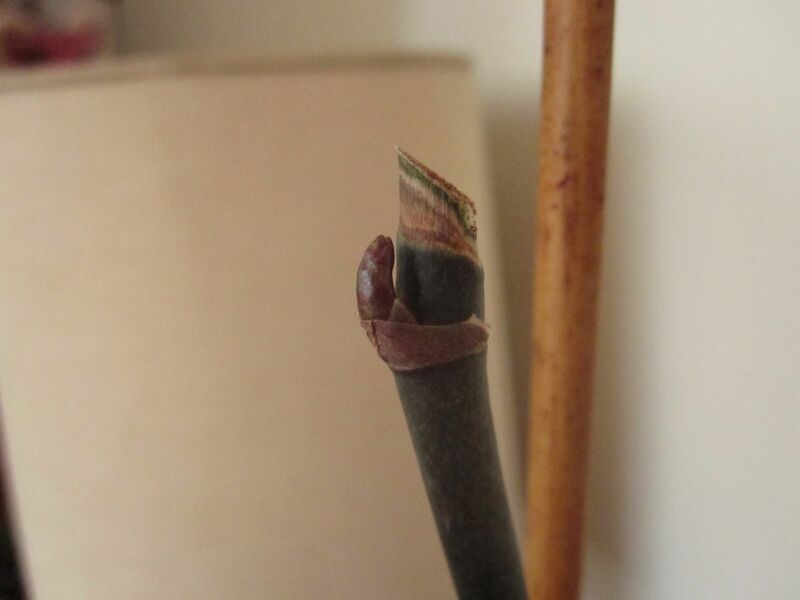 A keiki can either be left on the flower spike or removed and planted in its own pot once the roots have grown long enough (at least a couple inches long). If it’s not a keiki but just a side shoot, I recommend letting the shoots bloom and then cutting the spike down near the bottom once the blooms have died off. That way, like you said, it will reserve energy for the plant. I hope that helps! Good luck to you! Since the leaves are relatively new.. it’s hard to tell … but I think it may turn out to be a Keiki. I noticed another shoot with swollen areas and hope it turns out to be a flowering one!